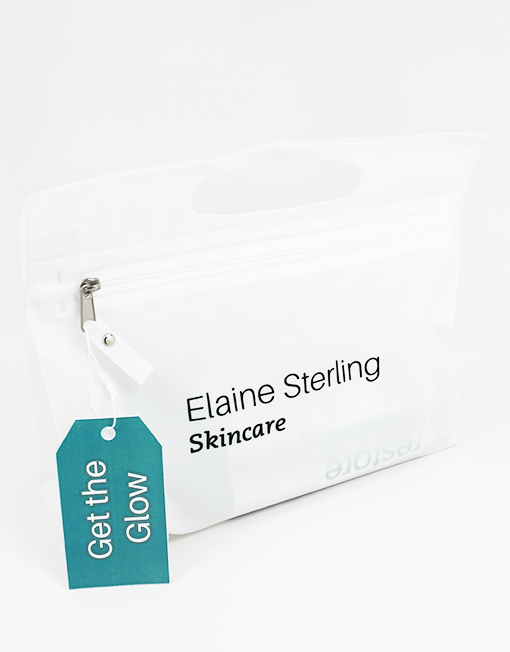 Our glamorous skincare kits are designed to assist you in choosing the perfect system to rescue, restore and regenerate your skin. Whatever your current skin condition we have made the selection easy by combining our most powerful actives into systems to target, Hyperpigmentation, Signs of Aging, Problematic Acneic skin and Sensitive skin conditions. 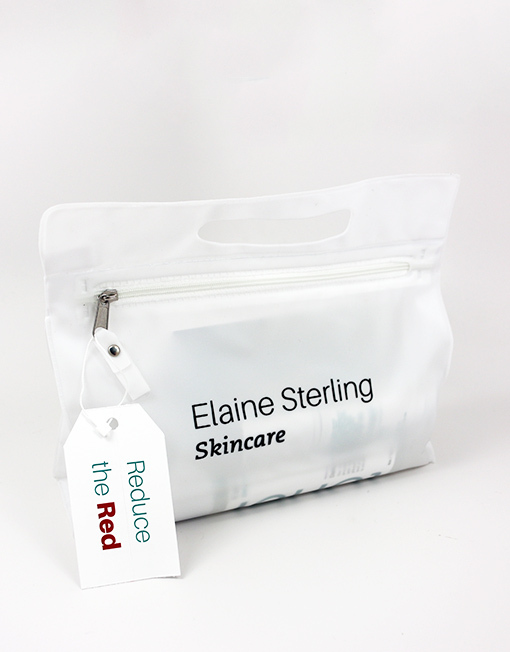 Come fly with Elaine sterling skincare. 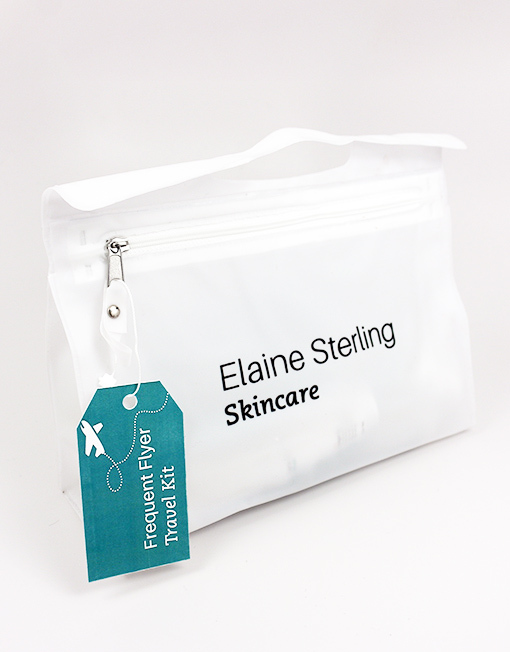 The frequent flyer kit contains everything you need for your trip to cleanse, hydrate and protect your skin. All skincare included is under 3oz to meet with regulations. 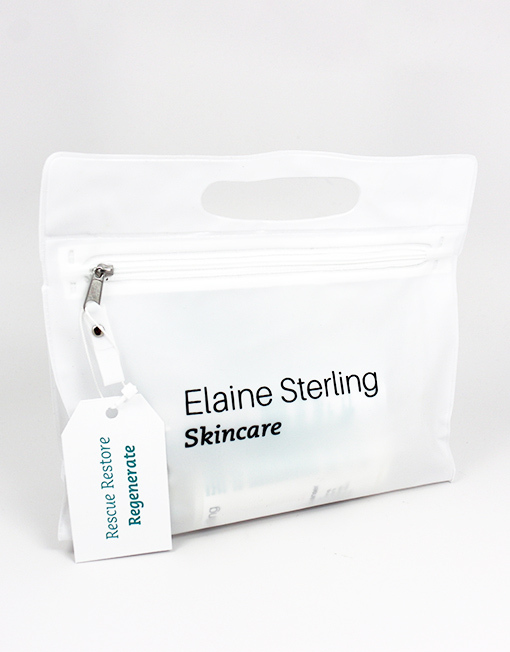 Tighten and tone your skin with powerful peptides, retinol and hyaluronic acid that are combined in the perfect anti-aging kit designed to increase moisture and reduce wrinkles. 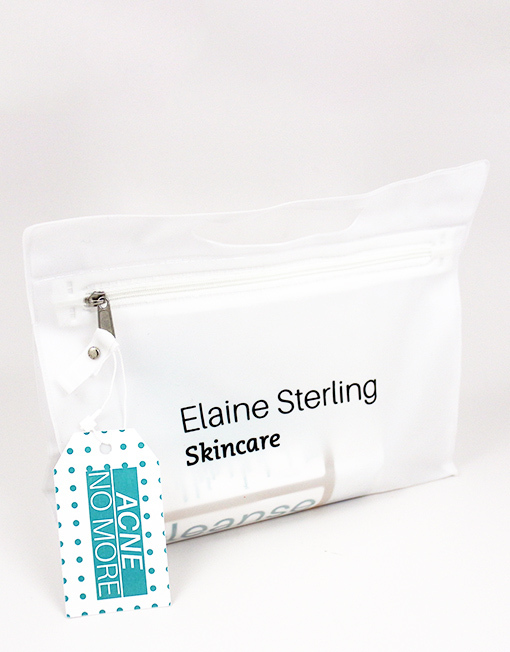 Control breakouts, blemishes and blackhead with powerful antibacterial and anti-inflammatory ingredients designed to work synergistically to seal your skins natural moisture. Reduce redness, sensitive and sensitized skin with gentle ant inflammatory ingredients. This kit is perfect to be used day and evening to even out skin tone. 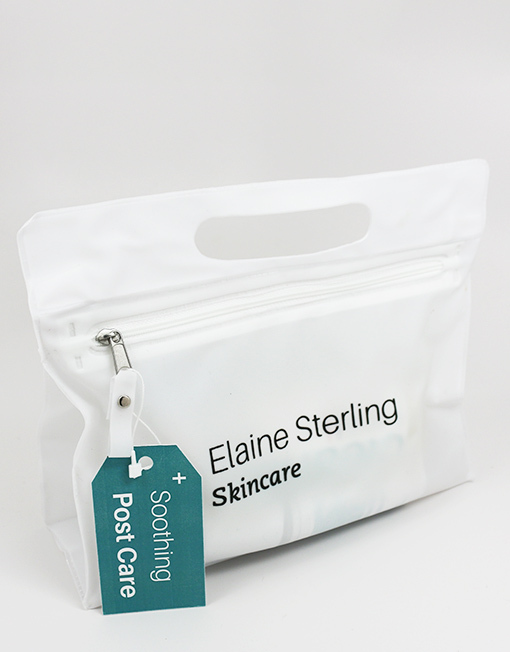 Our post procedure skin kit is designed to protect, heal and reduce irritation post any clinical skincare treatment performed by your esthetician. A daily routine that will continue and maintain your skincare treatment at home. Don’t sweat it! 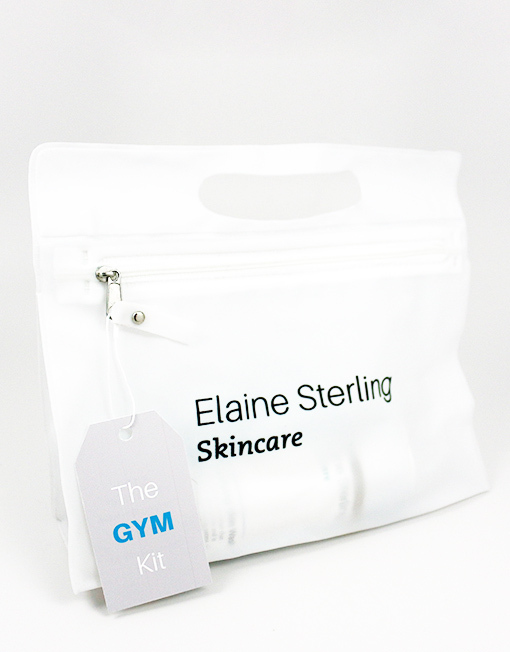 Everything you need post your work out to cleanse, brighten and protect your skin. 4 easy quick steps to cleanse, exfoliate and complete your daily skincare routine. 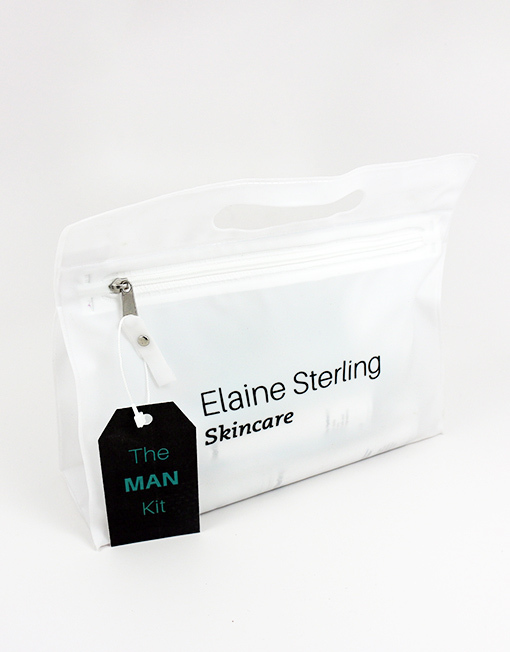 The perfect kit for reducing hyperpigmentation and to even out skin texture and tone.